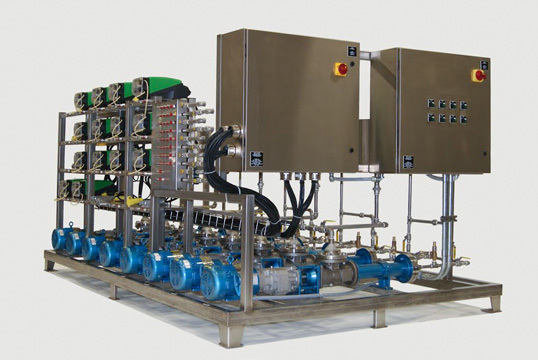 Dye Systems | ProFlow, Inc.
ProFlow has been building dye makedown and metering equipment for the paper industry for many years. Our dye systems closely control the makedown and addition of dye to the paper machine. With standard designs these skids fit a wide range of applications. In addition we can custom design a dye system specifically for your application. These systems offer the customer a compact design with stainless steel frame and piping and are supplied pre-piped, pre-wired and ready to operate. A full range of accessories is available including filters, tanks and dilution assemblies.